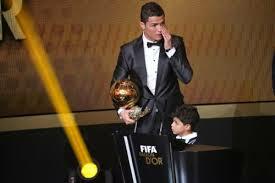 Cristiano Ronaldo est élu FIFA Ballon d'Or 2013 ! Re: Cristiano Ronaldo est élu FIFA Ballon d'Or 2013 ! ama, 9oulouli ha99a : CHOFTOUHA .....???? Eyh...wechnouwa hassit ? wala bechnouwa hassit ?? ?